Because you don't want to perpetuate the stereotype of the rude American who DNGAF when traveling. 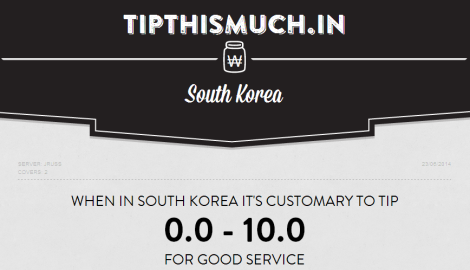 Navigating the seas of international dining etiquette is tricky enough. 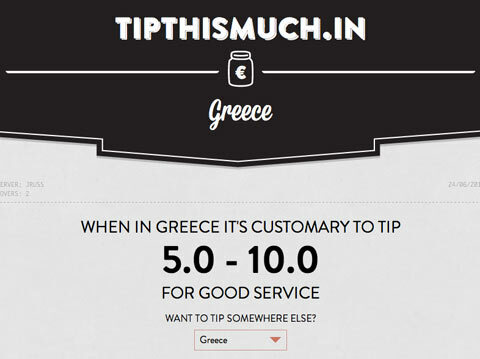 When is it appropriate to split the bill? (It varies.) What should you do with chopsticks when you’re not using with them? (That varies, too.) Which hand do you use to rip off a piece of injera, scoop up food, and eat? (Right hand only, please.) 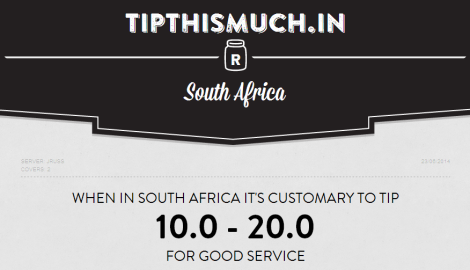 And what about tipping? 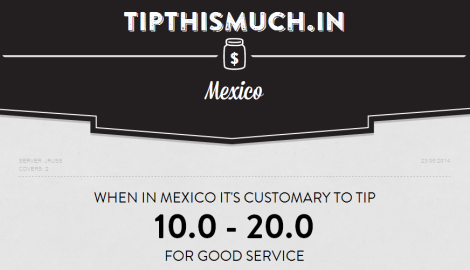 Outside the U.S., tipping practices vary drastically; in some countries, it’s customary to tip nothing. How are you supposed to keep it all straight? 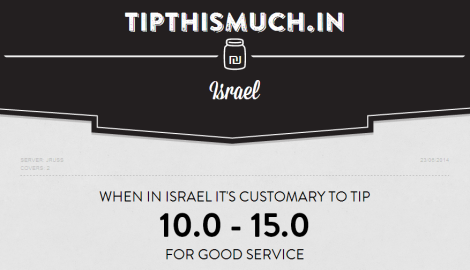 Don’t worry, Tipthismuch.in is here to save you from etiquette failure. Bookmark the site on your smartphone now. Not only does it tell you about expected tips in other countries; it also lets you calculate the bill with tip and split it. 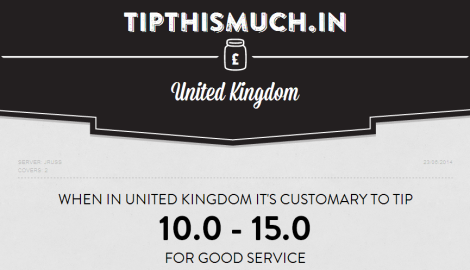 We pulled data from the site and created a quick guide to customary gratuities in various countries. Check it out below. 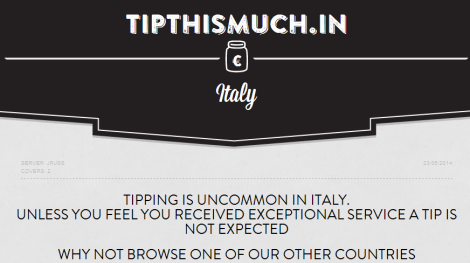 Other countries besides Italy where tipping isn’t customary: Vietnam, Japan, Hong Kong, China, Singapore, Malaysia, New Zealand, Australia, Belgium, France, Norway. Check tipthismuch.in for specific info on any given country. If you want to be a prepared traveler, this is a great guide to have in your toolbox.